Chic Family Travels is always looking for luxurious and chic up and coming resorts in exotic locations. 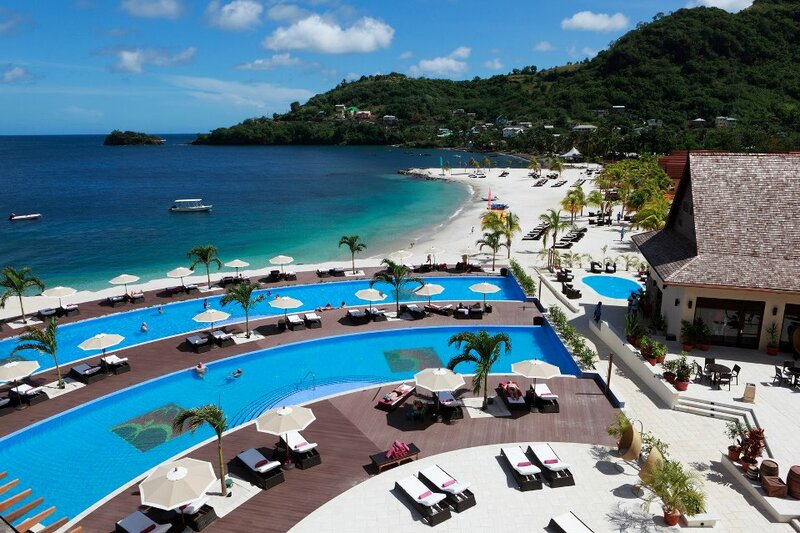 We have our eyes on Buccament Bay in St Vincent and the Grenadines which newly opened in 2010. Buccament Bay is taking all-inclusive luxury vacations to another level. The resort not only includes food and drink but also many exotic excursions. The resort also purchased a private plane to make the transfers from the Barbados airport to St. Vincent seamless and of course its included. Also, the resort hosts a Pat Cash tennis academy with complimentary clinics for 2012. There is also a performing arts academy and soccer academy. I don’t think we would be bored at Buccament Bay! I especially love the exotic excursions such as trips to swim with turtles in the Tobago Cays, hiking a volcano, and trips to the Dark River Water Falls. This sounds like a Chic Family Vacation waiting to happen! ← Dear Santa, I really want a trip to Le Guanahani Resort in St Barts! Please!